Ambitious Aspirations 1st Annual Virtual Turkey Trot is now open for registration! To register, simply leave a comment with your intent to enter and the distance you plan to run. There are a plethora of distances: 1 mile, 5k, 5 mile, 10k, 10 mile and Half Marathon! Below is the official race bib! Simply click on the image and copy over to your blog (or print and wear on Turkey Day). I'll have a call for race results after Thanksgiving. Looking forward to hosting this virtual race. For my P-town peeps: I'll be printing bibs and distributing course routes soon, stay tuned. Now I'm turning my attention to the weekend. One of Mr. Pi's old college friends' was in town for the weekend. His sister is a XC star at Cal Berkeley who was running down in Springfield. On Saturday we trekked down to Springfield and spectated his sisters race. I've never spectated a XC race before and it was crazy. I think the spectators got almost as much of a workout as the runners; it was chaos--spectators running all over the place. The rest of Saturday was spent drinking beer and enjoying the dry weather! It was great for the first 5 miles, I was consistently running at about a 10:45 pace and feeling great. I slowed a little in the middle miles but finished it up with two fast-ish miles, the last mile was 10:12! Whoa! Overall, I ended with 10 miles at 11:13 avg pace. Best news of the whole run though was my rockin' spandex Sugoi compression tights. They are A-MAZ-ING!!!!!!! More to come on these puppies. Here I am rockin' my spandex after 10 miles in the west drizzle that is the NW for the next 9 months. 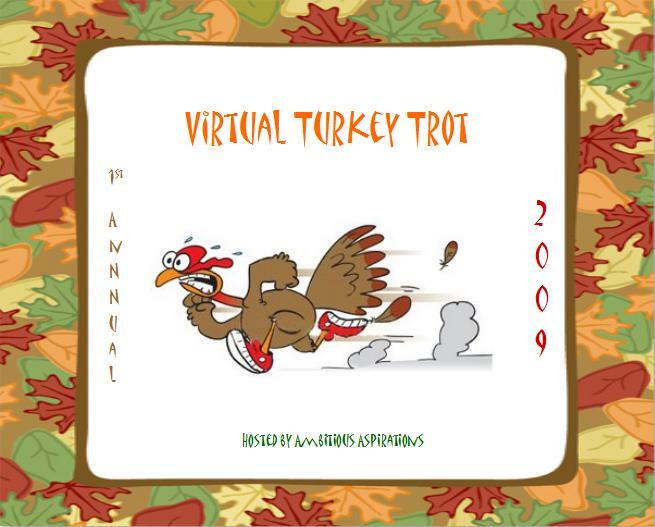 Don't forget to sign up for my virtual turkey trot!